George Yeo, the second Chancellor of Nalanda University, has called it quits, citing intrusion in the varsity's autonomy. Yeo is the second chancellor to quit after Nobel Laureate Amartya Sen resigned from the same position early this year. Yeo stated that the varsity's autonomy has been affected since he was "not even given notice" of the leadership change in the institution. "The circumstances under which the leadership change in Nalanda University has been suddenly and summarily effected is disturbing and possibly harmful to the University's development," he said in a statement to members of the earlier Board of the university. The university board was reconstituted by President Pranab Mukherjee as its Visitor on 21 November which severed Sen's nearly decade-long association with the institution after the government reconstituted the governing body of the prestigious institution. "It is puzzling why I, as Chancellor, was not even given notice of it. When I was invited to take over the responsibility from Amartya Sen last year, I was repeatedly assured that the University would have autonomy. This appears not to be the case now. Accordingly, and with deep sadness, I have submitted my letter of resignation as Chancellor to the Visitor," Yeo said. Sources said the President, in his capacity as the Visitor of the university, approved the reconstitution of the Governing Board in accordance with provisions of the Nalanda University Act, 2010. He also approved giving temporary charge of vice chancellor to senior-most Dean of the University as the current VC Gopa Sabharwal's one year extension expired on Thursday. It will be a stop-gap measure until the new vice chancellor is appointed. The new governing board will be a 14-member body which will be chaired by the chancellor. It will also comprise vice chancellor, along with five members nominated by India, China, Australia, Laos PDR and Thailand. Former revenue secretary N K Singh, who was also member of the Nalanda Mentors Group, will represent India. "For reasons not entirely clear to me, the Government of India has decided to form the new Governing Board with immediate effect before the Act is amended. This is of course entirely the prerogative of the Government of India," Yeo, the former Foreign Affairs Minister of Singapore, said. He said that pending the appointment of a new vice chancellor, the incumbent Gopa Sabharwal, whose term ended yesterday, was to stay in place "to ensure that there is no hiatus in the leadership of the University." This was also provided in the university statutes and "fully supported by the old Governing Board." "However, on November 22, the Visitor overruled the Governing Board and directed the senior-most Dean be appointed instead," Yeo said. He said when he was appointed Chancellor in July this year, "I was told that a new Governing Board would be formed under an amended Act, core aspects of which the Ministry of External Affairs sought my views on." The amended Act, he said, would have removed "a major flaw" which "in essence offers Governing Board seats to East Asian Summit countries making the highest financial contributions in the last three years". "This provision, which was never recommended by the Nalanda Mentor Group (NMG), would not have been a good way to constitute the Governing Board and was the reason the Government of India requested the NMG to continue functioning as the Governing Board for a number of years until the Act could be amended," he said. "It has been an honour and a privilege for me to be associated with the revival of Nalanda over the last decade, to serve as a member of the NMG and the Governing Board under the leadership of Amartya Sen, and to be appointed its second Chancellor. 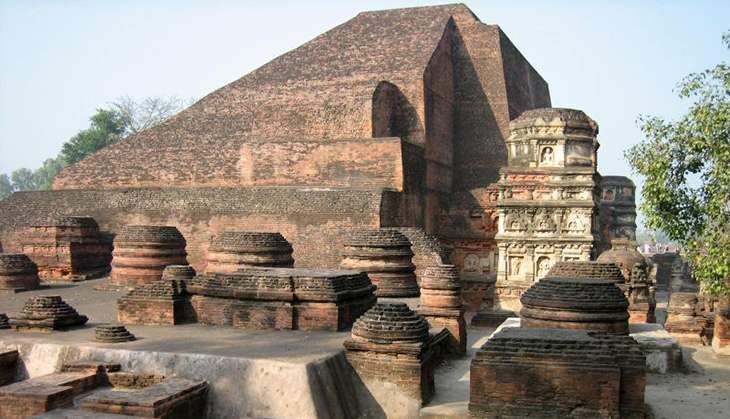 Despite difficult circumstances, the University has made remarkable progress through the tireless effort of Dr Gopa Sabharwal and her colleagues .... Nalanda is an idea whose time has come and larger than anyone of us," Yeo said.